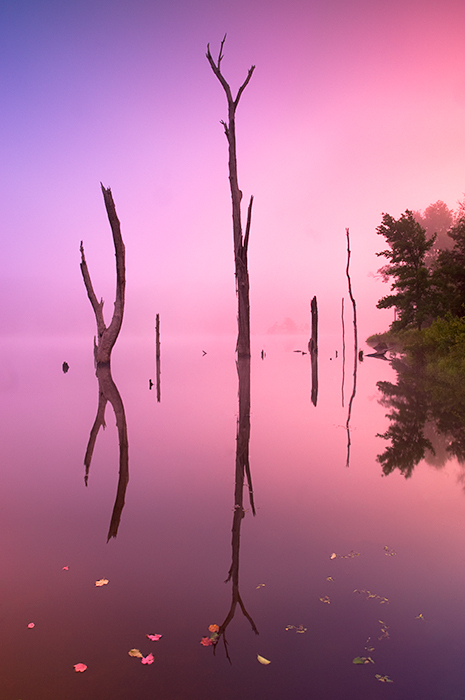 Early morning light meets thick fog that had settled over the lake. Windless conditions led to the mirror-like reflection in the water. Upon returning to this site later to photograph again, the trees had fallen over. This was a few days after remnant winds of Hurricane Ike had wreaked havoc throughout Western Kentucky.